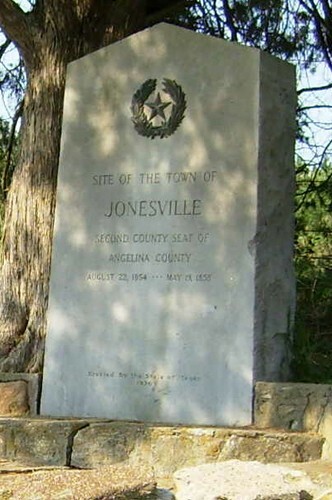 Jonesville was the second of Angelina County�s four county seats, sandwiched between Marion and Angelina (aka Homer). It served in this capacity from 1854-1858. Jonesville never grew and in its short reign as county seat the people never got around to building a courthouse. County offices were rented. 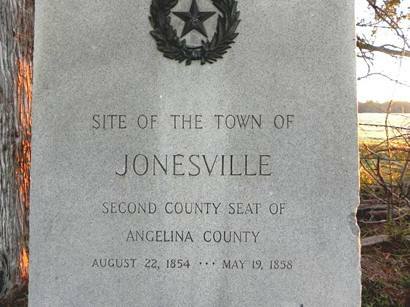 The 1858 election that made Angelina the county seat spelled the end of Jonesville. Ballots were said to have been burned and the resulting vote was recorded as 221 to Angelina while Jonesville got a mere 130. Jonesville residents fought with an opposing group from Angelina and some 40-50 people were indicted for the fracas. After the election Jonesville started into a decline from which it never recovered. �Martin William �Gobbler� Jones was born in North Carolina on 4 Aug 1784 and married Rhoda Hodges in Jefferson County, Tennessee on 12 July 1804. They moved to Jackson Co., Alabama between 1824 and 1826, then moved to White County, Arkansas by May 1831 when their 11th child was born. He was the first State Representative from White Co., when Arkansas became a state. 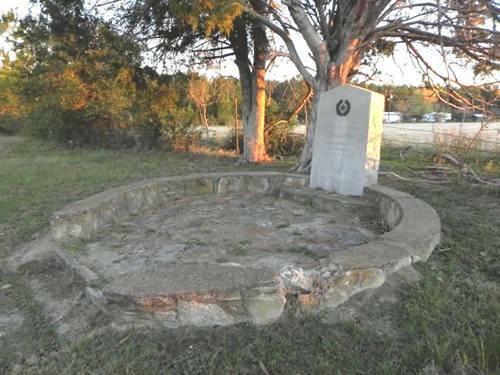 The family moved to Texas two or three months after the death of their daughter Phetna Mariah (Jones) Burks (died 18 Nov 1845).